Hong Kong is a truly remarkable jurisdiction. Can you name, after all, another government in the world that brags about how little it spends on redistribution programs and how few people are dependent on government? Here is some additional evidence of Hong Kong’s sensible approach. 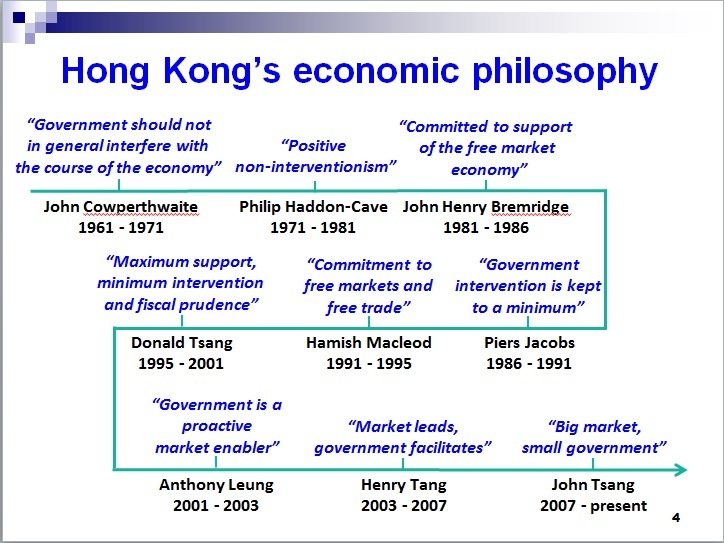 Below is a slide from a presentation by Hong Kong government officials, quoting the current Financial Secretary and all his predecessors, covering both the period of Chinese sovereignty and British sovereignty. As you can see, the one constant theme is free markets and small government. By the way, there are two sins of omission in the video. If you watch the whole thing, you’ll notice it mentions that strong economic performance is linked to the rule of law, property rights, free trade, and sensible regulation. All that is true. But what about a stable monetary system? And what about a reasonable tax regime and a modest burden of government spending? on March 8, 2017 at 2:38 pm Does the US Share Japan’s Grim Future? | Camarillo Publishing Co.
Hong Kong caused more change in China after 1997 than China made in Hong Kong!!! Great info but worth highlighting that it’s really an unfair comparison: not only HK vs. UK but also HK and/or Singapore vs. USA. Both the former are densely populated city states with major ports that have attracted high value immigration (both corporate and individual) for decades; it’s like comparing New York city (imagine if it was an Independent State) and saying it out-performs France. 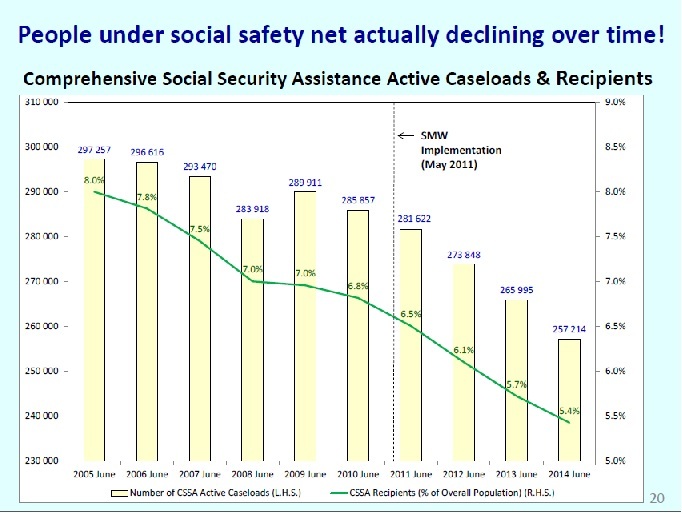 The government are very keen on amassing statistics. THey collect them, add them, raise them to the Nth power, take the cube root and prepare wonderful diagrams. But you must never forget that every one of those figures comes in the first instance from the village watchman who puts down what he damn pleases. Sir Josiah Stamp, UK Commissioner of Inland Revenue, 1896-1919. Why is the obvious so invisible to statists?